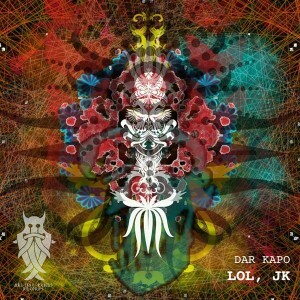 Melting Runes Records proudly presents its eighth release, LOL, JK, the solo debut of Dar Kapo from India. This stomping progressive psytrance release features five tracks composed in 2011-2012 and reworked in 2014 to take you on an organic forest trip. Each song is twisted up with big kicks and heavy nocturnal bass lines designed to bring out the party animal in all of us. Mastered by The Loop Studio, New Delhi, with artwork by Dar Kapo. MP3 Download | FLAC Download | WAV Download · Download count: 6,986.
namaste, very nice bumping sound, i like it !!! excelente viaje, volando por los bosques!!!!! five tracks best composed i like it!!!!!!!!!! Pounding bass and atmospheric sounds , makes for an extraordinary sonic trip .. TOP !! What a solid style! Heard ALL your faster tempos but I have to say, this one is special!